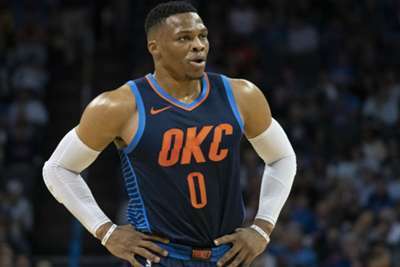 Oklahoma City Thunder star Russell Westbrook left Monday's game against the New Orleans Pelicans with a left ankle sprain. Westbrook limped off the court and was unable to put any weight on his left leg after landing awkwardly on Anthony Davis' foot in the third quarter. He screamed and hit the floor as he went down under the basket. The Thunder held a 100-86 lead over the Pelicans after the third. Before his exit, Westbrook scored 17 points in 25 minutes of play.